SYRACUSE, NY (WRVO) – Everything is on the table, according to Syracuse University officials, including expulsion, for the 18 students involved in racist videos by the Theta Tau fraternity. SU officials said it will be a fair but expeditious disciplinary process. 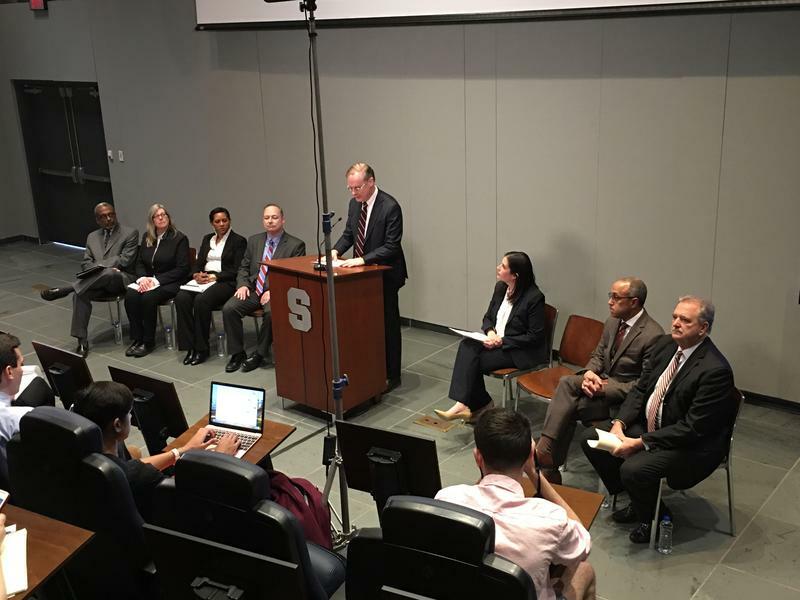 Syracuse University Chancellor Kent Syverud said Monday while he believes in freedom of speech, the behavior in the videos involves conduct, as well as speech. “That conduct is the reason this is part of the student judicial process,” Syveryud said. Each case is being reviewed separately. The students will get the chance to tell their side of the story. A university conduct board will make a decision and that can be appealed. Dolan Evanovich, the senior vice president of Enrollment and the Student Experience, said their code of conduct covers behavior, harassment and hazing. Evanovich said there are more videos, but the university is not releasing them. The disciplinary process could take up to two weeks. And all of this comes as graduation is scheduled for next month. The university expelled the Theta Tau fraternity over the weekend. A campus conversation meeting is scheduled for Wednesday among students, university leadership and members of the board of trustees.